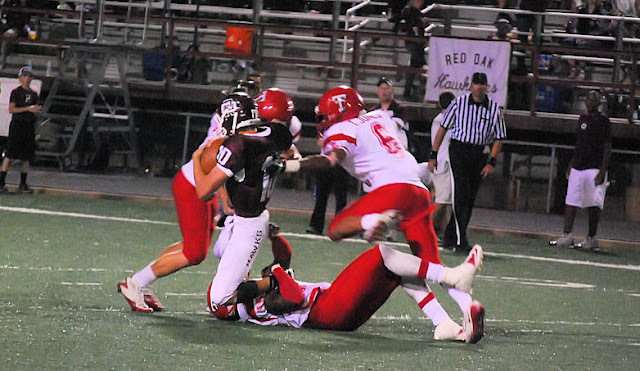 The Terrell Tigers had their chances last night in Red Oak, but couldn't hold on to the ball. They turned the ball over 5 times and lost to Red Oak 28-21. Terrell defense sacks the Red Oak quarterback.